Kentfield Common's tree-lined streets are a defining characteristic of our neighborhood. Hundreds of large stately trees - live oaks, coastal redwoods, maples, and magnolias - form a canopy over our neighborhood. The HOA follows federal, state, and local guidelines to protect these natural assets. Redwood City Tree Preservation Ordinance: Trees significantly enhance the overall beauty of the environment and raise the quality of life for all who live and work in the city. The Tree Preservation Ordinance protects trees on private property. Although they belong to the property owners, trees have an impact on the quality of life of our entire community. These trees grow in the City's urban forest and contribute as much, if not more, to the quality of life of a neighborhood than city-owned street trees and park trees. This ordinance governs trees of any species that have grown to a size greater than 12 inches in diameter (38 inches in circumference) - measured at the largest point between six inches and 36 inches above ground. For trees of this size, a permit is required prior to pruning or removal. Proper pruning standards are encouraged to maximize the health and beauty of the tree and minimize potential problems. A tree takes many years to grow and only minutes to cut down. Removal is the last resort option, when no other reasonable alternative can correct a problem. The Public Works Department strives to plant more trees then are removed each year." 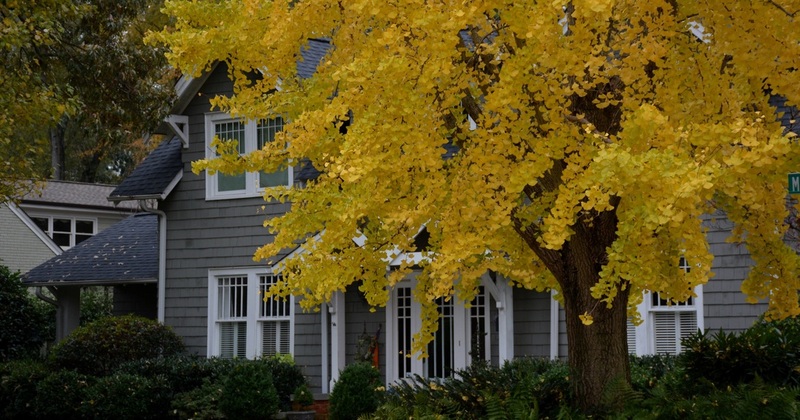 ​The HOA follows all Redwood City Tree Preservation ordinances. We hire certified horticulturist and arborist to take care of our trees, and we obtain the proper permits for all tree work. Homeowners who would like to do any additional pruning or tree related renovations must submit a Landscape Change Request for HOA approval, and obtain Tree Permits from Redwood City. Tree Permits must be submit to the HOA prior to any tree work. Irrigation: Trees need careful irrigation, mulching, and pruning. Our landscapers are constantly monitoring and adjust the irrigation to keep our trees healthy while staying within the water budget. Please do not turn off your front yard irrigation. Many trees, including our Coastal Redwoods, rely on this irrigation to survive the summer months. Contact the association manager if you notice any trees that need more irrigation or special attention. Tree Trimming: Our certified arborists evaluate all of our trees each year. We perform the pruning that is professionally recommended to produce healthy, structurally sound, and aesthetically pleasing trees. Emergency Storm Damage: Contact the Association Manager if you have a downed limb. 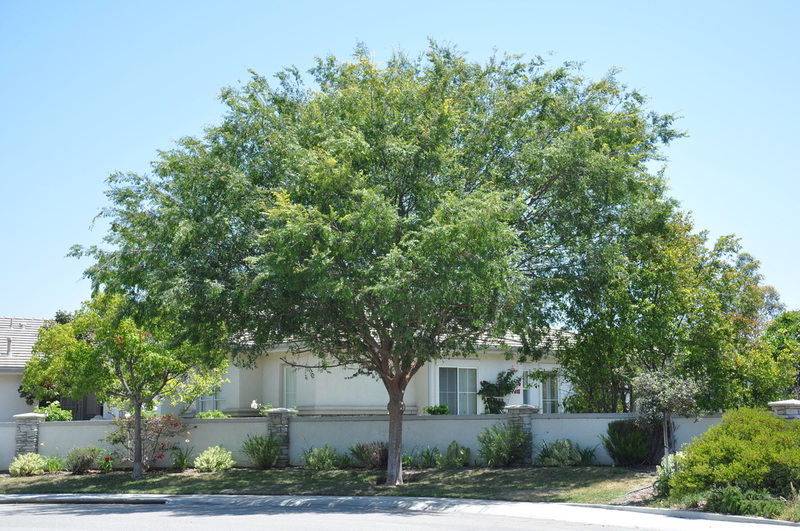 The HOA clears broken branches as soon as the arborist can be scheduled to come onsite. This usually takes from 1 - 7 days depending on the amount of storm damage in the area. Homeowners who have special request for tree trimming can complete a Tree Trimming Request. The arborist evaluates all non-emergency tree trimming requests and competes the approved tree trimming twice a year; once in the spring and once in the fall. Please Note: The HOA only performs professionally recommended pruning. If you are replacing a tree that is within 15ft of a street, select a Street Tree from the list below. If you are planting a tree further than 15ft from the street, you can select either a street tree or an Understory Tree. 15 Gallon sized trees can be planted, but 24" or 36" box sized trees are recommended. 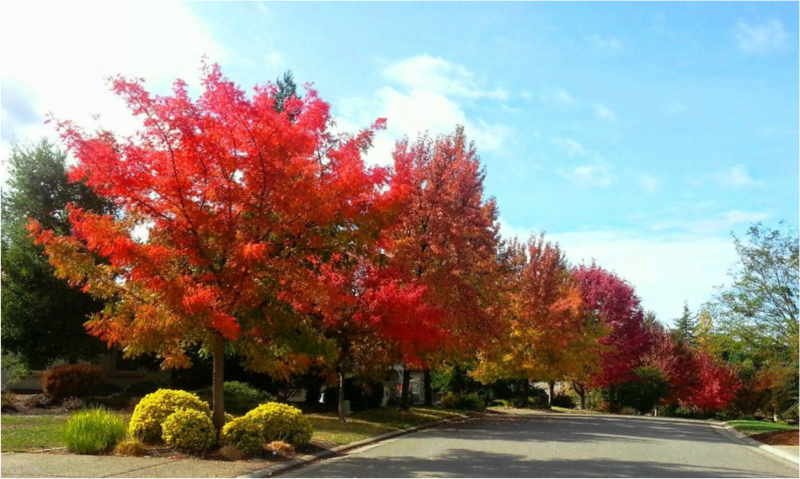 Select a tree from the appropriate tree list and submit a Landscape Change Request to the HOA. Obtain the proper tree removal permits from Redwood City and send a copy of your permit to the HOA prior to doing any tree work. These arborist-recommended street trees have strong branches what will grow to form a canopy over our streets. These trees do not have surface roots, and they don't drop excessive fruit, sap, or litter. Homeowners can find more information about each tree on the links provided. ​Please note the recommended minimum planting distances from fences, foundations, sidewalks and driveways. If there isn't enough clearance at the the original site, the arborist will position the new tree to meet these requirements. TIP: You can find more pictures and see how a tree will look throughout the seasons by doing a Google image search. This graceful tree is adorned with lustrous dark green leaves that turn shades of yellow, gold, orange, red and purple in the fall. 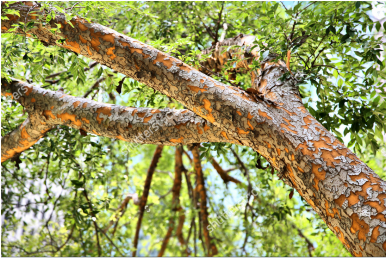 A landscape standout, the lacebark elm has a sculptured form and distinctive bark with a mottled pattern, often with shades of brown, gray, green and orange. 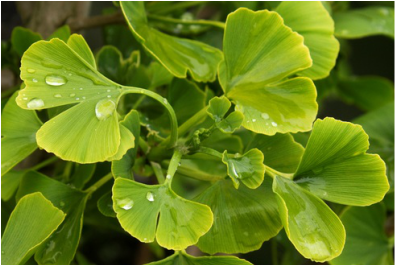 Lacebarks are technically deciduous, but in temperate areas like Redwood City leaves are replaced almost immediately making the tree appear almost evergreen - an excellent choice for homeowners looking for a tree that provides year round interest. Lacebarks grow moderately fast, making it an especially good choice for designers looking for an elegant tree that will provide substance and architectural interest in just a few years time. 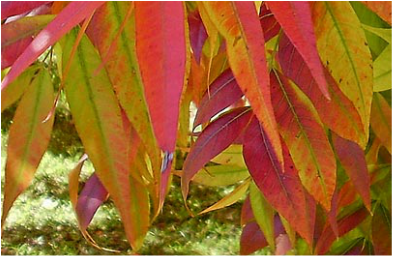 Known as the “Ugly Duckling” of the tree world, the Chinese Pistache starts out as an unattractive and misshapen young tree but grows into a magnificent specimen with bright green leaves in the summer, and orange, scarlet, crimson and yellow leaves in the fall. Deciduous. 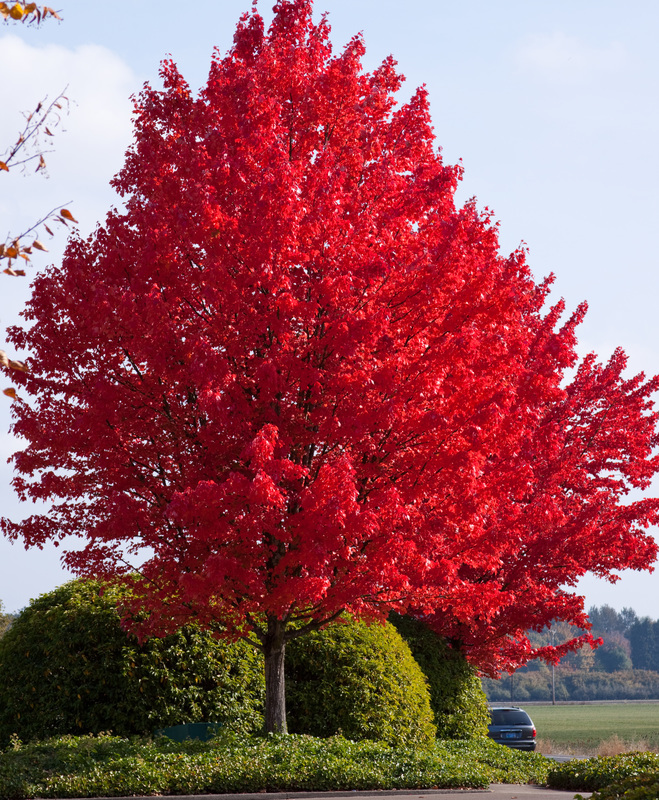 Red maple is one of the best named of all trees, featuring something red in each of the seasons—buds in winter, flowers in spring, leafstalks in summer, and brilliant foliage in autumn. 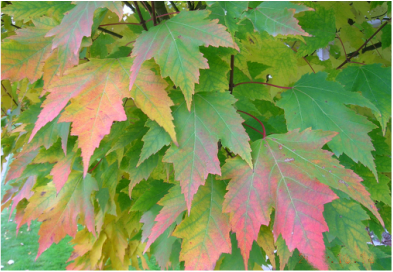 This pageant of color, along with the red maple's relatively fast growth and tolerance to a wide range of soils, makes it a widely planted favorite. Deciduous. 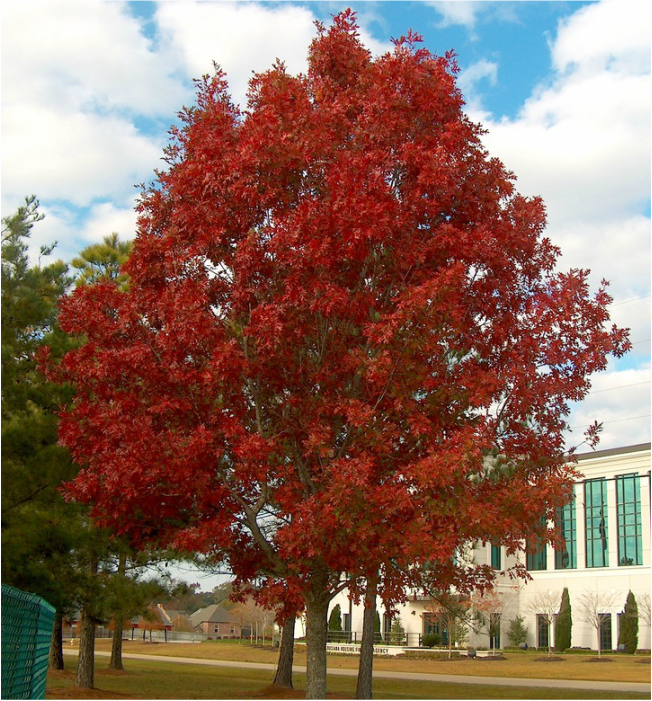 A stately, strong and long-lived tree with beautiful fall color, the Shumard oak is a great selection for yards. 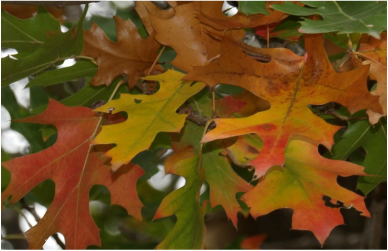 The Shumard Oak's dark glossy green leaves make a dramatic fall statement, turning brilliant red to red-orange. This adaptable species has been successfully grown in urban areas where air pollution, poor drainage, compacted soil, and drought are common. The Shumard oak's small acorns are a favorite of deer and squirrels and several species of birds. Deciduous. Known as the harbinger of spring, the eastern redbud’s delicate blossoms and buds are one of the season’s most dramatic displays. But this tree’s beauty doesn’t end with its flowery show. The redbud's bright green heart-shaped leaves turn a light yellow in the fall. Unique and irregular branching patterns create a very handsome, spreading and often flat-topped crown. 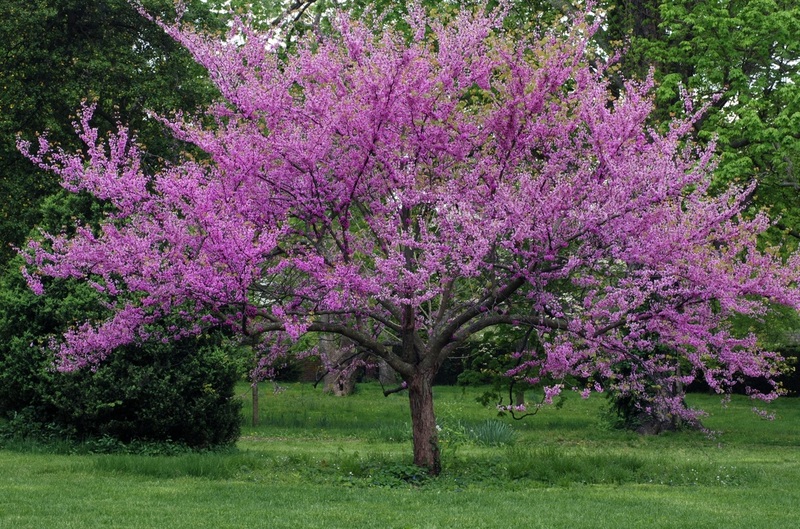 Growing to only 30 feet, redbuds are the smallest of the street trees - a good choice for areas where there isn't enough space for a more substantial tree. Deciduous. If you are interested in planting something that isn't on the list, please submit a special request for approval. Please provide the exact type of tree and information showing that it will grow to at least 30ft and it is recommended as a good street tree.